Undocumented Immigration from Mexico Hits Net Zero in U.S. So we've hit net zero undocumented immigration from Mexico. How does this line up with both Republican and Democrat efforts to militarize the border? The "They Keep Coming" rhetoric still reigns, but if there's been essentialy no immigration from Mexico, what are the real foundations for anti-immigration demands? 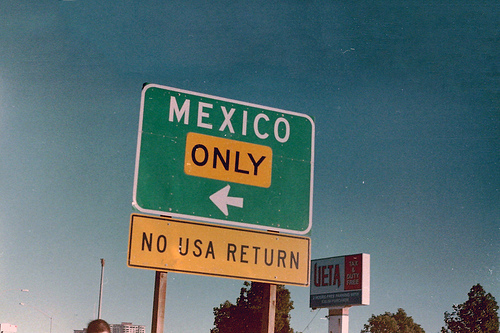 After analyzing census data and household surveys, Agustin Escobar, a demographer at the Center for Research in Social Anthropology in Guadalajara, Mexico, found that migrants leaving Mexicodropped from more than 1 million in 2005 to 368,000 in 2010. The shift began as a result of the weak U.S. economy, but experts say anti-immigrant state laws, tougher U.S. border enforcement, and border violence are contributing factors as well.